For more than a decade, colleges and the business world have been trying to adjust to the distinctive characteristics of the Millennial Generation – those who were born from the early 1980s to the mid-1990s. The differences among the generations often create misunderstandings. For example, that sense of independence – if you want to do it right, do it yourself approach — brought to the workplace by Generation X (born from the mid-1960s to the early 1980s) was clashing with the collegial ethos of the Millennials. And unlike the Baby Boomers (born 1946 to the early 1960s), who put a lot of value in working long hours at the office, Millennials place a higher premium on getting the job done efficiently. 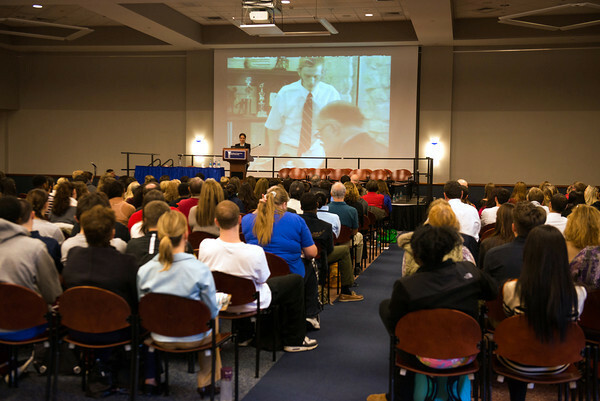 Keynote speaker Kim Lear talks about generational differences during a recent forum at Southern. For Boomers and Xers, the unwritten rules at work said that as you climbed the hierarchical ladder, you would be involved in discussions of higher importance. That workplace culture is almost anathema to Millennials, who want to be part of those discussions from their earliest days at an organization. They prefer a collegial, more horizontal organizational. The differences among the generations are often stark. But just as some organizations have learned to adjust to the Millennials’ expectations and create a more peaceful co-existence among the generations, a new generation with its own trends and traits is beginning to emerge. Generation Edge – those who were born since the mid-1990s – is about to enter colleges starting next year. And some have already joined the workforce. Will they be like the Millennial Generation – tech savvy, team-oriented, optimistic and with high expectations? While they are likely to be even more technologically advanced, the early indications are that they are quite different in many respects. 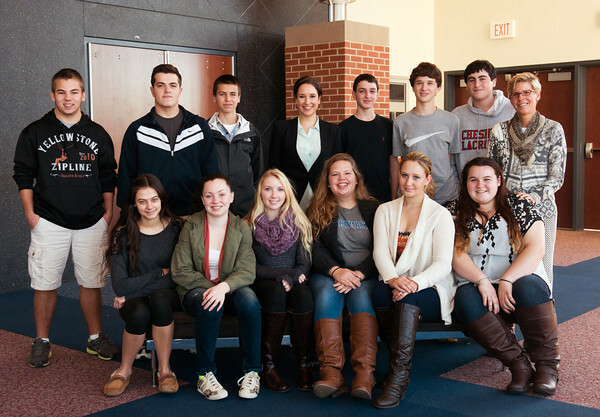 Cheshire High School students — members of Generation Edge — share a moment with Kim Lear (standing, fourth from left). That subject was among those discussed recently at Southern during a forum, “Ready or Not, Connecticut, the Millennial Generation is Here!…And the GenEdgers Aren’t Far Behind.” The forum looked at the characteristics of the various generations throughout the 20th and 21st centuries. Kim Lear, an expert on generational trends and changes for a Minnesota-based company called BridgeWorks, gave the audience a glimpse into what the early research says about Generation Edge, sometimes referred to as Generation Z or NetGen. *A story ran in the Nov. 25 edition of the New Haven Register about a fundraising effort ofLisa Siedlarz, loan administrator for the Office of Financial Aid and Scholarships, which will benefit wounded veterans in Connecticut. *A Nov. 24 article about Tim Parrish, professor of English, and his book, “Fear and What Follows: The Violent Education of a Christian Racist,” ran in the New Haven Register. The story talks about his descent into racism during his youth, followed by a turning point in his young life that spurred him away from racism. Channel 8 ran a story during its Nov. 20 broadcasts, and the New Haven Register published an article in its Nov. 21 edition. A variety of other media outlets also carried the story, including the New England Cable Newsnetwork. *Southern’s Nov. 18 forum, “Ready or Not, Connecticut, the Millennial Generation is Here!…And the GenEdgers Aren’t Far Behind,” drew tremendous media coverage. The program examined the trends and characteristics of the Millennials (those born between the early 1980s and the mid-1990s), as well as Generation Edge (those born since the mid-1990s), while comparing them to previous generations. The state’s largest four largest newspapers — Hartford Courant, New Haven Register, Connecticut Post and Waterbury Republican-American — are among those media outlets that wrote about the event, either on the day of the program of in advance of it. The Republican-American ran a lengthy advance story on Nov. 15. A Nov. 15 entry in the Post blog, “Education Matters,” written by reporter Linda Lambeck, offered a preview of the forum. On Nov. 16, WTIC (1080 AM) aired an interview with keynote speaker Kim Lear as a preview of the forum. The interview was part of the station’s “Saturdays with Ray Dunaway” morning show. Joe Amarante, a reporter/columnist with the Register, wrote a column that ran in the Nov. 17 edition of the paper in advance of the event. The Register also ran an advance of the forum online on Nov. 6, and posted four photos from the event online on Nov. 18. The Courant ran a story on Nov. 19 in the paper’s business section. An article that previewed the forum was posted online in the Courant’s MyTowns section on Oct. 31. Channel 30 aired a brief segment on the forum during its 5:30 p.m. newscast on Nov. 18. WQUN (1220 AM) aired a segment on the station’s newscasts on Nov. 18. The Connecticut (Television) Network (CT-N) aired the program several times, beginning on Nov. 19. The Cheshire Herald ran a story with photos in its Dec. 5 edition. *The New Haven Register ran a Nov. 14 article about a panel discussion at Southern pertaining to trauma and post-traumatic stress disorder. *Christina Baum, director of library services, was quoted in a Nov. 14 article in theConnecticut Post about a master plan for the future of Bridgeport’s downtown library and four branches. She talked about how the plan is worthy and ambitious, but that today’s rapid changes in technology can alter even the best laid plans. *Channel 8 aired a story on Nov. 13 about Sarah Crawford, professor of biology, receiving a patent for an “anti-cancer cocktail” designed to fight a deadly form of brain cancer. Christmas fern extracts are part of that three-component cocktail that has shown promise in pre-clinical testing. *On Nov. 12, Channel 8 broadcast a segment about the Gear Up program’s Celebration Day on campus. *A preview of a talk by Mitch Albom ran in a Nov. 11 column by Joe Amarante of the New Haven Register. Albom is the author of the novel, “The First Phone Call from Heaven.” He spoke at the Lyman Center. The Hartford Courant also previewed the talk in a Nov. 12 column by Mary Ellen Fillo. *The Hartford Courant ran a Nov. 10 story about a mural that was on display in the Lyman Center. The mural was created by Michael Borders and honors Connecticut business and industry. *The New Haven Register ran a Nov. 7 preview story of a talk to be given by Buddy Valastro, also known as The Cake Boss. Connecticut college students interested in pursuing the applied sciences will have more opportunities to engage in cutting-edge research thanks to the newly designated ConnSCU Center for Nanotechnology at Southern. The designation by the state Board of Regents for Higher Education opens the door for students and faculty members from the 16 other institutions in the Connecticut State Colleges and Universities System to pursue collaborative research and partner with representatives from business and industry. The center has been operating for several years as a Southern-based facility, offering hands-on training in a field that draws upon several scientific disciplines – including chemistry, biology, physics and engineering. Students use specialized equipment, including a state-of-the-art microscope that uses electrons to image materials on the atomic scale. The National Science Foundation estimates that 2 million workers will be needed to support nanotechnology industries worldwide within the next 15 years. Nanotech is already being used to produce new medicines, improved medical imaging tools and more durable construction materials, as well as energy-efficient power sources like fuel cells, batteries and solar panels. “It’s a very exciting time for us, especially as we await the opening of a new science building (projected in 2015), which will enable us to do more things with a state-of-the-art facility and equipment,” says Christine Broadbridge, chairwoman of the Physics Department and the center’s director. The new center will soon include research in the nano-medicine field. Broadbridge says that Southern faculty from the departments of Chemistry, Biology and Physics will be working together to develop topics such as examining how drugs are delivered in the human body, and research and development for new medical devices and implants. The center will also feature environmental applications of nanotechnology — such as testing products that can sense microscopic pollutant particles — and manufacturing applications of nanotech. These include creating more durable products and examining devices that can enhance the speed of computers. Broadbridge notes that a fellowship program affiliated with the new center is being developed. Several students who participate in nanotech research at the center will be awarded a stipend annually. The stipends will be geared primarily to Southern undergraduates. “The idea is that the stipends will enable those students to engage in their research projects without having to worry about working a job during that period,” she says. “It also gives those students the opportunity to learn the business side of science, such as marketing products.” The fellowship program will be funded through a gift from the Werth Family Foundation, which recently contributed $3 million to Southern’s science programs. The center itself is being funded through a variety of sources, including grants from the U.S. Department of Energy and the National Science Foundation. Rich Cavanaugh has announced his retirement as head football coach at Southern, effective January 1, 2014. Cavanaugh has enjoyed an affiliation with the university since 1982 and served as head coach of the Owls’ gridiron squad since 1985. “Rich Cavanaugh has left an indelible mark on both our football program and our institution as a whole over more than three decades of service to Southern Connecticut State University,” said Director of Athletics Patricia D. Nicol. “Over the course of his tenure, he guided our program to newfound heights on the playing field, in the classroom and in the community. Cavanaugh concludes his career as the winningest (170 victories) and longest tenured head coach in program history. He recorded 19 winning seasons on the Owls’ sidelines, highlighted by four consecutive NCAA Championship appearances from 2005-08. “It has been a great honor to serve as the head football coach at Southern Connecticut State University for the past 29 years,” Cavanaugh said. “The success that we have enjoyed as a program over that time has been the byproduct of support from an extensive group of individuals. “I want to thank everyone affiliated with our administration during my time here at SCSU, beginning with Ray DeFrancesco for providing the opportunity to serve as our head coach, and stretching up to today with the great support from our university President Dr. Mary Papazian and Director of Athletics Pat Nicol. Southern Connecticut claimed its first NCAA playoff victory during the 2007 season under Cavanaugh’s guidance. The Owls also earned a share of three Northeast-10 Conference Championships (2006, 2009, 2010). Over the course of his career, Cavanaugh coached 148 All-Conference selections, 66 All-New England honorees, 53 All-ECAC performers, 17 All-Americans, 14 All-Northeast Region picks, six Offensive Players of the Year, three Northeast-10 Most Valuable Players, three NE-10 Rookies of the Year, three NE-10 Defensive Players of the Year, two NE-10 Defensive Linemen of the Year, two Division II-III Gold Helmet Award winners (Jim Lukowiak in 2005 and Steve Armstrong in 2007) and two NE-10 Offensive Linemen of the Year. The 2008 Northeast-10 Coach of the Year, Cavanaugh finishes his career with an overall mark of 170-131-1 in 29 seasons as head coach. He ranks No. 29 in NCAA Division II history in coaching victories with his 170 triumphs. Several Owls moved on to the National Football League after playing for Cavanaugh at SCSU, including Joe Andruzzi (10-year career with the New England Patriots, Green Bay Packers and Cleveland Browns; three-time Super Bowl Champion), Jacques Cesaire (eight seasons with the San Diego Chargers), Scott Mersereau (eight seasons with the New York Jets) and Travis Tucker (three seasons with the Cleveland Browns). A national search for Cavanaugh’s successor will begin immediately. The Millennials may be the most studied generation in American history. Their size – which exceeds that of Generation X and rivals that of the Baby Boom Generation – coupled with their distinctive characteristics are fodder for a sociological analyst’s dream. Why do they appear to be so different from previous generations in the classroom, at work and in society, in general? Indeed, cultural shockwaves have been felt in the workplace since the Millennials’ entrance a decade ago. To be sure, some of the same things have been said of every succeeding generation. After all, all one needs to do is look at the images of the late 1960s and early 1970s – the coming of age era for so many Baby Boomers – to feel the cultural stir that permeated society. But many experts say that the changes within the Millennial Generation are deeper and more ingrained than those from previous generations. Some say that members of this generation approach their careers in a different way than in the past. For example, paying your dues at an organization for a significant amount of time — a path doggedly taken by most Baby Boomers and their parents — is no longer viewed in the same light. Millennials tend to want to make a significant, sometimes dramatic impact, right away. Similarly, this generation sees the world in more horizontal terms than in hierarchical terms. Ironically, Millennials appear to be less confrontational toward authority figures than their parents were at their age…perhaps because of their closer relationship with their own parents than Baby Boomers had. But that relationship also has been controversial as educators frequently bemoan a less independent student body. This style of “helicopter parenting” owes some of its genesis to the technological boom with the creation of cell phones, iPhones and other new communication vehicles. 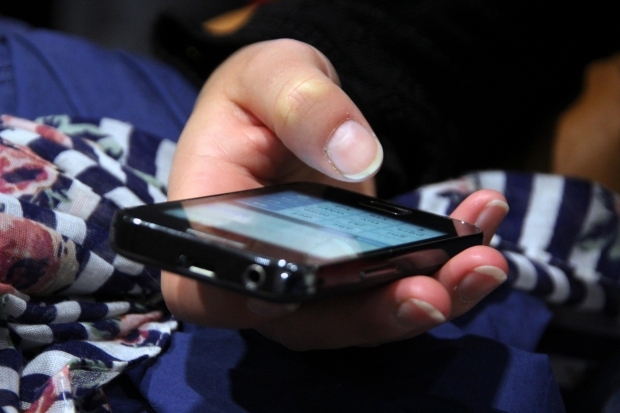 Interestingly, phone conversations for college students have decreased over the years, according to Ro Conforti, associate professor of media studies at Southern. She tells the story of how one of her students used to complain…not that her mother called her frequently on the phone…but that her mother did not know how to text her. Texting is considered the communication vehicle of choice. It’s faster and less intrusive than calling someone, or even emailing. And while Conforti says the new technology, including social media, allows friends and family members to stay in touch more easily, she adds that it comes with a price tag. The use of high tech communication devices is bound to continue among those in the post-Millennial Generation, those born around 1996 and later and sometimes referred to as Generation Edge or Generation Z. But the early trends are beginning to show some behavioral changes, according to some experts. The prevalence of “helicopter parenting” may be waning as the children of Generation X are growing up. While a single breadwinner was common place during the childhoods of Baby Boomers, the “latch key kids” era was a trend among GenXers. In other words, they grew up in a family environment that required them to learn self-reliance at an earlier age with both parents working. It’s not surprising, then, if the kids of GenXers are being raised to be more independent. But since the oldest GenEdgers are just now approaching college-age, the jury is still out in terms of how they will differ from Millennials, as well as previous generations. He has been called “The Most Heard Voice” on National Public Radio (NPR). Listeners across the country have heard him dozens of times a day as the man who says “Support for NPR comes from NPR member stations and . . . ,” announcing the funding credits after every national news and information program. And now Communication Professor Frank Tavares — who says he has been writing his entire professional life — has published a book of short stories, The Man Who Built Boxes, a collection that showcases his unique storytelling abilities with 12 stories about a remarkable cast of complex, quirky characters. He has also been doing a series of interviews with NPR member radio stations around the country as his 30-plus-year gig with NPR comes to a close and his writing career simultaneously takes off. Tavares says he started writing fiction seriously in the 1990s and has several unpublished novels. About a dozen years ago, he started writing short stories. “I like to be working on more than one thing at a time,” he says. He started publishing some of his stories in journals, and at one point a friend suggested he pull his stories together into a collection and publish them as a book. “I thought, ‘how hard can this be?’” says Tavares, adding he had no idea how complex the process of publishing a book would be. Deciding which stories to keep in the book, which to take out, and in what order they would run were just a few of the many steps he had to work through with his publisher. His book also includes part of the next novel he is working on. When Tim Parrish talks to other white people about racism, he says, their reactions, like his, literally come from a racist place. Racism in the United States is institutionalized, he says, but many white people are reluctant to talk about how they’ve been influenced by that. Parrish, an English professor and director of the creative writing program, and a native of Baton Rouge, La., takes a hard look at racism in his two new books, both published this fall: Fear and What Follows: The Violent Education of a Christian Racist, a Memoir, and The Jumper, a novel, winner of Texas Review Press’s 2012 George Garrett Prize for Fiction. This man’s story was the inspiration for Parrish’s novel’s main character, Jimmy Strawhorn. The Jumpertakes its title from Strawhorn’s urge to jump from high places, but the trope of jumping also goes back to Parrish’s 2000 book of short stories, Red Stick Men, also based in Baton Rouge. Both The Jumper and Fear and What Follows are underpinned by racism, Parrish says. The racial and class politics portrayed in the novel echo the real world of 1960s and ‘70s Baton Rouge that Parrish writes about in his memoir. “Race riots and vicious street fights were all I knew,” says Parrish, who grew up in the years of desegregation in Baton Rouge. Parrish says he and other members of his generation in the South “grew up in a time and a place where racism saturated everything that was going on,” but nobody in the white community really talked about it. Parrish feels that in writing about this period in his own life, he could confront his own demons while also saying something meaningful about the toxic thinking that surrounded him in his youth. He describes the atmosphere at his desegregating high school in the mid-‘70s as “extremely violent” and discusses a shootout in the streets between members of the African American community and Baton Rouge police during which five people were killed. “It was kind of like gang war,” Parrish says, but the white press was not covering such events. It was an extremely complex racist and violent environment, he says, yet there was no assessment of the psychic or emotional toll this environment took on the people who lived in it. The technology landscape has changed dramatically over the past quarter century and continues to do so on a daily basis. Accompanying these changes are many new issues in the field of computer ethics — intellectual property, privacy, computer security, access to computing resources and downloading music and film off the Internet, to name a few. During this time, the Research Center on Computing and Society, based at Southern, and headed up by Philosophy Professor Terry Bynum (below, left), has established itself as an international leader in analyzing and promoting the ethical use of computer technology. 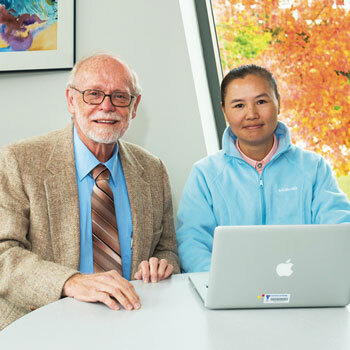 The one-of-a-kind center has also advanced computer ethics as an academic discipline through teaching, networking, research, publications and a website that offers articles and papers, multimedia materials and links to other computer ethics resources. To mark the center’s 25th year, Bynum is planning events in the fall and spring semesters that address current topics in the field of technology. Bynum, who began the center at Southern in 1987, is one of the world’s foremost computer ethicists. In 1995, he traveled to England to assist a colleague who was starting a computer ethics research center there and to help put a conference together. ETHICOMP95 became the first in a series of international computer ethics conferences. Bynum says by now there have been 15 of them in 11 countries in Europe and Asia as well as the United States. In addition to his work with the center and ETHICOMP, Bynum has conducted workshops, given speeches and addresses, produced and hosted video programs and published articles on computing and human values. For 25 years he was editor-in-chief of Metaphilosophy, an international scholarly journal, now edited by Armen Marsoobian, professor of philosophy. Over the years, many scholars, both international and American, have come to Southern to give presentations and participate in roundtables sponsored by the center. On Nov. 8, the center held a mini-conference on computer security. Five scholars presented papers in the morning (see below), and in the afternoon, the 2013 Norbert Wiener Address was given by Donald Gotterbarn, director of the Software Engineering Ethics Research Institute at East Tennessee State University. Gotterbarn is also chairman of the Association for Computer Machinery’s (ACM) Committee on Professional Ethics and a leading author of the Software Engineering Code of Ethics and Professional Practice, which promotes ethics among software engineers. Bynum says that ACM is the largest computer professional organization in the world. The namesake of the Norbert Wiener Address, according to Bynum, was an MIT mathematician whose study of information feedback systems during World War II was really the beginning of the computer ethics field. Bynum is also working on a history of the center and intends to produce a publication in honor of its milestone anniversary.